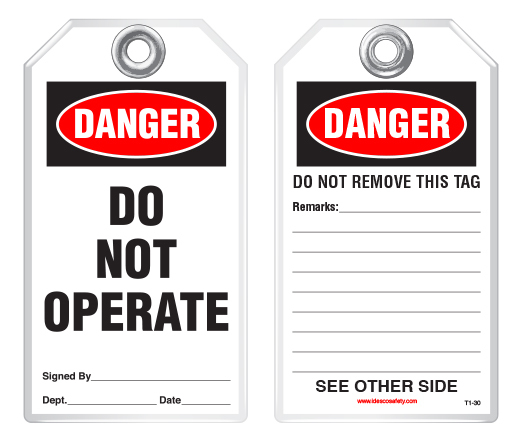 Idesco Safety Loop Safety Tags are durable, economical and easy to use. Simply loop the tag around your equipment and attach it using the built-in die-cut slot. 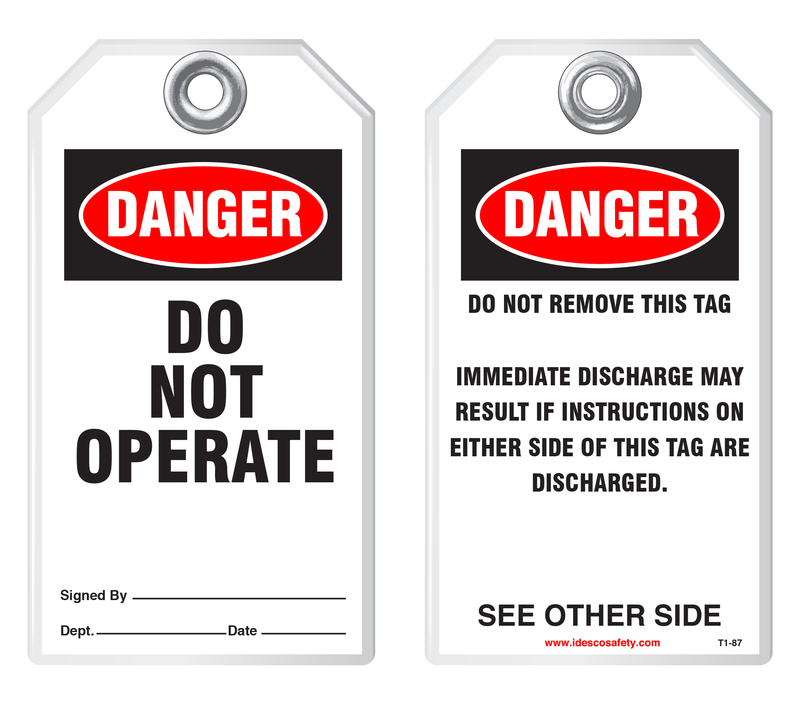 These are effective Danger and Caution Safety Tags which may be customized by using marker or pencil notations. 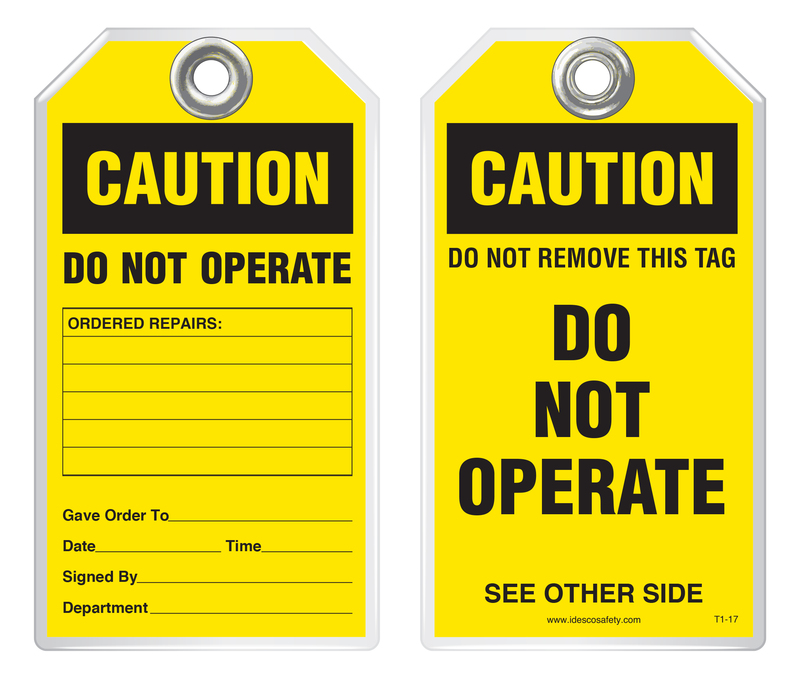 These popular tags are all-plastic, so they are resistant to water, oil, grease and will hold up in all types of weather conditions. Tag size is 3-1/4" x 5-1/2". Sold in packs of 10.